Pre-requisite: IIW Wedding Planner Certification or equivalent. 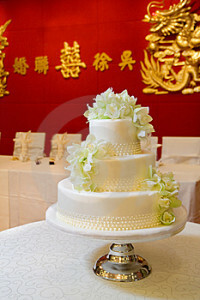 (This course is for wedding planners to acquire specialized training on planning Theme Weddings). Advance your wedding planner career, business, and credentials head and shoulders ahead of your competition; acquire the advanced and highly exclusive training required to become a specialist in planning theme weddings. As a Certified Theme Wedding Planner you’ll be THE ‘go-to’ person in your local area for couples looking for a wedding planner to assist them in planning their theme wedding. With this advanced credential, you’ll have an impressive competitive advantage over other wedding planners who lack this more advanced and specialized level of training and expertise. You’ll command and control the market for planning theme weddings in your area. What Is a Certified Theme Wedding Planner? A Certified Theme Wedding Planner is a professional wedding planner who has specific knowledge and expertise in the area of theme weddings, and who has received the specialized training that entitles one to use this credential. A Certified Theme Wedding Planner has successfully completed the training program of The International Institute of Weddings, and has met all of the standards and requirements for certification as prescribed and determined by The International Institute of Weddings. 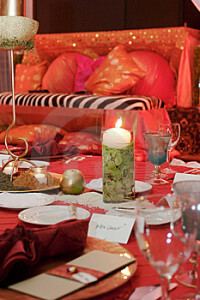 Planning theme weddings for clients requies a very specialized area of expertise all of its own. This topic is so highly specialized that in order to be appropriately covered in any meaningful manner, it requires an entire course devoted exclusively to this specialized subject matter – particularly if you want to develop a reputation for yourself and a competitive edge in the area of theme wedding planning. You will learn much, much more about planning theme weddings through this advanced certification program than any wedding planning course teaches. 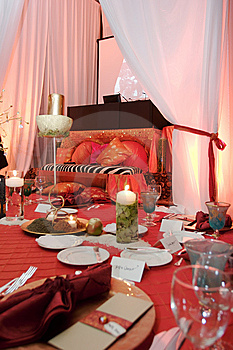 Theme weddings are a distinct area of specialization. There is so much that goes into planning a theme wedding that to acquire in-depth expertise in this area requires indepth, highly specialized training, and that necessitates a course devoted exclusively to this area of specialization. Just as in any profession, to truly excel and set yourself apart from the crowd as wedding planner, ongoing learning is a must, and this course offers you the knowledge to advance yourself in a growing segment of the wedding planning field. There is not another program or course in the industry, anywhere in the world, that currently offers any significant training for theme weddings. This program is the only one of its kind anywhere in the industry. Certified Theme Wedding Planners are an exclusive and elite group of professional wedding planners who have shown their commitment and dedication to their profession, to their clients, and to bettering their skills, expertise, and qualifications in the wedding industry by making the investment in their professional development to obtain advanced training and certification. Theme Weddings are a growing market. The theme wedding trend has become increasingly popular with couples looking to themes as a way to make their weddings more unique and memorable. 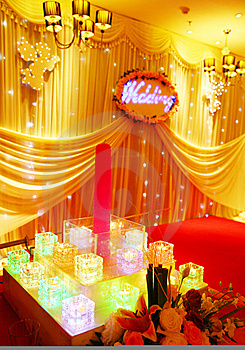 Based on a study conducted by SuperWeddings.com, in association with The International Institute of Weddings, 25% of all weddings now incorporate a theme to some extent. Of 5,600 random visitors to SuperWeddings.com who took part in the survey, a full 25% stated that they were centering their wedding around a particular theme. This is extremely significant and identifies the development of a major trend. With theme weddings rapidly increasing in popularity over the last few years, and the demand for theme weddings steadily on the rise, The International Institute of Weddings is the first education provider anywhere in the world to recognize the need for a specialized designation in the area of theme weddings, and to develop the appropriate level of specialized training for this new breed of wedding. 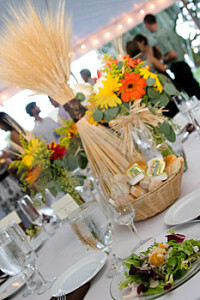 Once again, IIW leads the way and sets the standard in wedding planner education. The Certified Theme Wedding Planner credential was developed by The International Institute of Weddings under the direction of internationally recognized wedding expert Linda Kevich and is available only and exclusively through the International Institute of Weddings and its licensed and accredited course providers. This exclusive credential can only be obtained by successfully completing the Theme Wedding Planner Certification Program offered by The International Institute of Weddings. Eligibility and authorization to use this title is exclusively reserved for wedding planners who have completed this program and have been awarded the credential from The International Institute of Weddings or its accredited and licensed training partners. This title and designation is trademarked by The International Institute of Weddings signifying The Institute’s exclusive rights to and ownership of the designation. 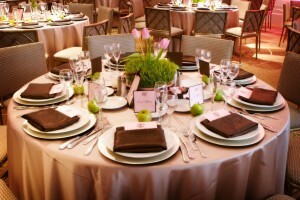 As a Certified Theme Wedding Planner you can charge a premium for planning theme weddings. 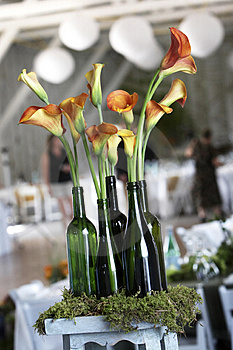 Theme Weddings require a specific level of skill and knowledge that the typical wedding planner does not generally have. Your training and certification as a Theme Wedding Planner reflects your seriousness and professional commitment. It shows the market that yhou have made an investment into acquiring advanced education to qualify you as a specialist in planning theme weddings. As is the case with any specialist in any field, you can charge more for this advanced and specialized level of knowledge. This form of advanced training, expertise and specialization gives you the power to attract more clients – people who are planning theme weddings. Your credential as a Certified Theme Wedding Planner differentiates you in your local market and enables you to stand out. Obviously if a couple is interested in a theme wedding for the biggest day of their life, and they have a choice between yourself – a Certified Theme Wedding Planner – or a more generic wedding planner, they’re going to be attracted to the one with the better qualifications, credentials, expertise, training, and skills. Consider it from the client’s point of view. Who would you choose? Becoming a Certified Theme Wedding Planner does not mean that you will only plan theme weddings, unless, of course, you make that choice. It simply means that you have an advanced level of knowledge in this particular area which makes you a specialist in that type of wedding planning. This makes you more marketable, provides you with diversification, and enables you to distinguish yourself within your local market – all of which has the effect of increasing business, attracting more clients to you, and strengthening your bottom line. In this course you will acquire a vast level of specialized knowledge and expertise to qualify you to plan theme weddings for your clients in accordance with proper professional standards and best practices. WHAT IS A THEME WEDDING? WHAT IS A THEME WEDDING SPECIALIST? WHY ALL THE INTEREST IN THEME WEDDINGS? WHY DO COUPLES WANT THEME WEDDINGS? DEVELOPING CREATIVITY: WHERE DO THE IDEAS COME FROM? The Certified Theme Wedding Planner Course will teach you the proper standards and professional practices for planning theme weddings for your clients. You’ll learn how to effectively conduct a consultation with a client who wants a theme wedding, how to help a couple select a theme that will be meaningful to them, how to develop a theme, how to build the entire wedding around one central theme, how and where to get ideas for themes, how to develop creativity, how to attract more clients by specializing in theme weddings, plus it includes templates for many different theme ideas, complete with details – decor, food, attire, colors, etc. for the different themes. Upon successful completion of the course you will earn certification which you can display to your clients as yet another credential of your expertise, training and qualifications. 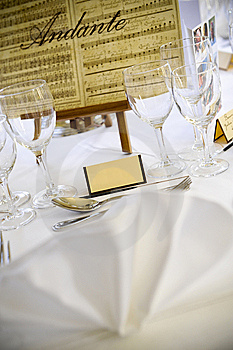 You will begin with the designation of Certified Theme Wedding Planner upon successfully completing the course. Then, after you have done 3 theme weddings for clients, you are eligible to earn the still more advanced certification as a Master Theme Wedding Planner. Earn your designation as a CERTIFIED THEME WEDDING PLANNER. Then earn the more advanced designation of MASTER THEME WEDDING SPECIALIST after the required on-the-job experience, no additional fee for a limited time only. (Total of 3 Theme Weddings for Clients). The International Institute of Weddings, (in association with The SuperWeddings Certification Program), is the first and only organization anywhere in the world to offer this level of specialized theme wedding training for wedding planners, and certification for theme wedding planning. Entrust your training to The International Institute of Weddings – we’ve been setting the standard for education in the wedding industry for well over a decade and leading the way in wedding planner education since 1999, world-wide. We continue to lead in advancing the quality of training for professional wedding planners with one-of-a-kind courses like this for the benefit of your knowledge, career and ultimate success. Designation as a Theme Wedding Planner can only be awarded by The International Institute of Weddings, and only wedding planners who have completed our programs and qualified for certification have the right to use these exclusive titles. Become the wedding planner in your local area for theme weddings. Enroll Today. The cost of this advanced and specialized training program is currently $425, all inclusive, however, this is an introductory fee and is subject to increase at anytime without notice. You must already be a Certified Wedding Planner to enroll, or a student currently enrolled in The IIW Wedding Planner Certification Program. You may study at your own pace in the comfort of your own home via distance learning. You’ll find the study manual to be engaging, enlightening, inspiring and informative. If you are interested in theme weddings, you’ll thoroughly enjoy your learning experience and the lessons will come easily because you’ll be excited by what you are learning. Currently, the fee is all inclusive, meaning you can take the course and earn both the Certified Theme Wedding Planner designation and the Master Certified Theme Wedding Planner designation all under the one fee, which as you can see, is an extraordinary value. However, this offer is available for a limited time only and is subject to change without notice. Of course, any student who registers under the current offer will be entitled to earn both designations at no additional cost regardless of any free structure changes that may occur in the future. Following registration for the course, you will receive the theme wedding certification study manual, your guide to everything you need to know about professionally planning theme weddings according to proper standards of professional practice. The study guide will also provide you with valuable business guidance for the theme wedding planner. Your comprehension of the concepts will be evaluated through course work. Once you’ve completed the course and earned your credential, you will be awarded a certification certificate and will be fully authorized to use the title Certified Theme Wedding Planner and represent yourself as such. The higher level designation of Master Theme Wedding Planner may be a future goal if you wish to continue to advance your professional credentials. You will be required to have completed three theme weddings for clients in the real world environment to qualify for that advanced credential, so this is part of a longer term plan. You are not eligible for this more advanced designation until you have achieved your designation as Certified Theme Wedding Planner. The advanced designation is purely at your option. at this one low, all inclusive fee for a limited time.